Wise Owls always take time out for a brew! White ceramic coaster with a black felted backing to protect surfaces. 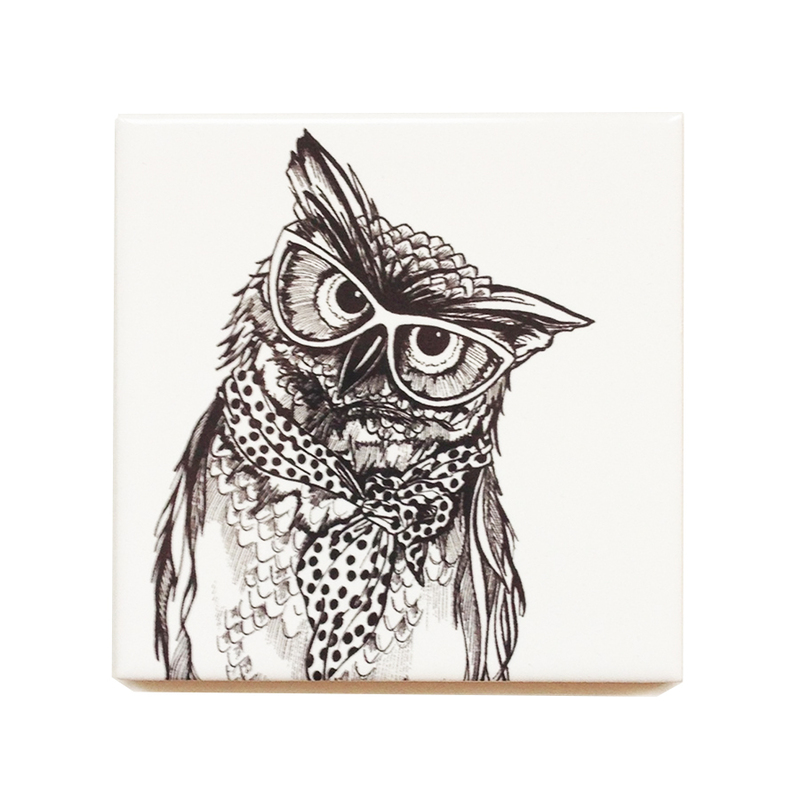 Our charistmatic illustration is beautifully printed onto this fine quality ceramic coaster.